In our case, both the twin parasitic fetuses had body weights, sizes, and fetal structures that corresponded well with a gestational age of 10 weeks. 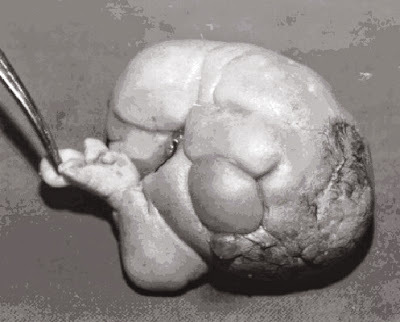 A normal ultrasound during the early antenatal period rather suggests that they might have been tiny parasitic fetuses that had grown slowly with the ‘patient’ and reached their significant sizes at term, instead of the popular theory of early normal development followed by parasitic inclusion and arrest of growth. Although with limited antenatal documentation, our case report does not support the popular monozygotic multiple pregnancy theory, and favours, by default, the traditional classification into a teratoma. But of course the popular media is blaring headlines about a baby born pregnant with twins.